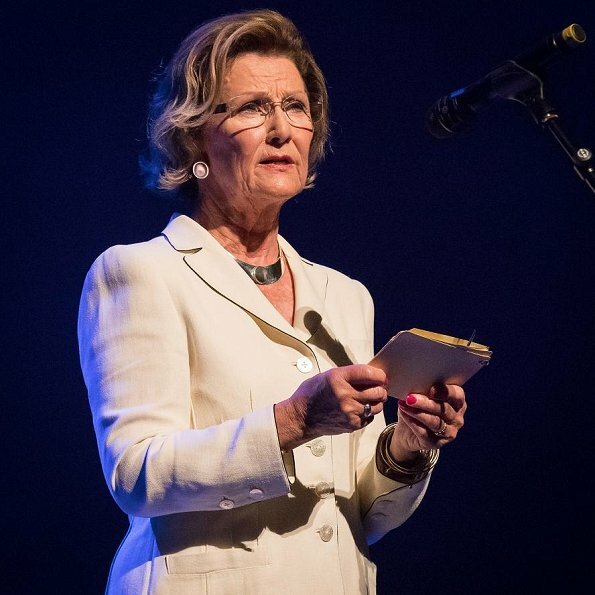 On August 12, 2017, Queen Sonja of Norway attended the opening of Oslo International Jazz Festival 2017 held at the Opera House in Oslo, Norway. 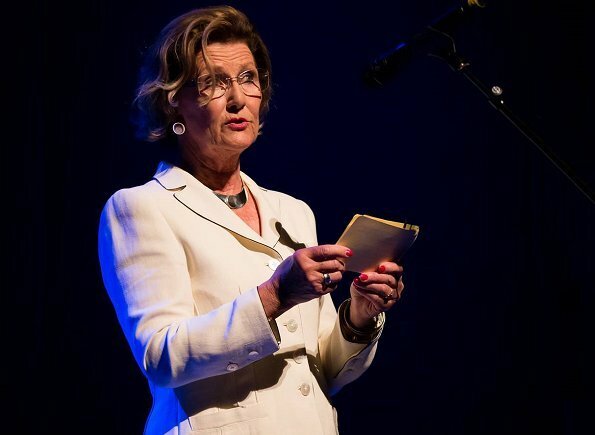 Queen Sonja gave an opening speech of the Jazz festival. 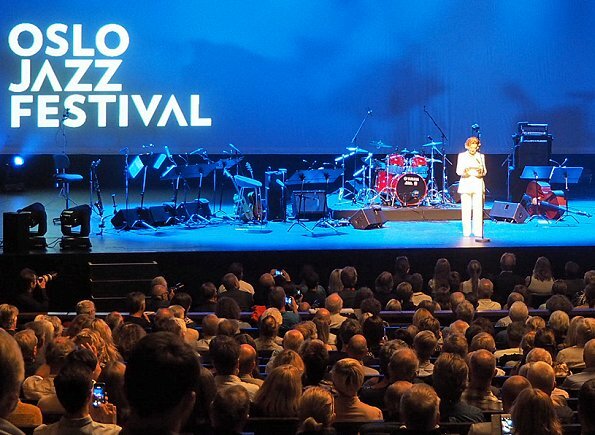 Oslo International Jazz Festival (established 1986 in Norway) is a six-day festival held in August every year. Elegant and lovely at 80. The jacket length is all right since it is the same color and fabric as the pants; avoids looking clumsy and fits well. White is good with her tan. The lights must be very bright! What an elegant person. There's a standard we should all hope to be able to achieve at her age! A classy and lovely Queen. The dress fits her well. Impressive at her age. Une grande dame par excellence!